Our first game of the season hosting out of town guests! 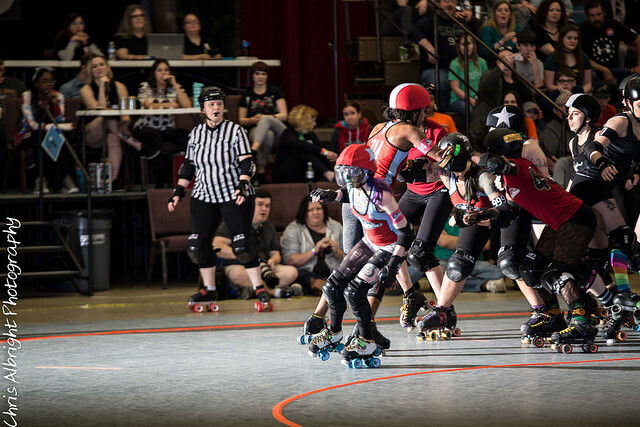 The Soul City Sirens traveled across I-20 from Augusta to try their luck against the Jukes of Hazzard featuring some brand new rookies in this St. Patrick’s Day bout. 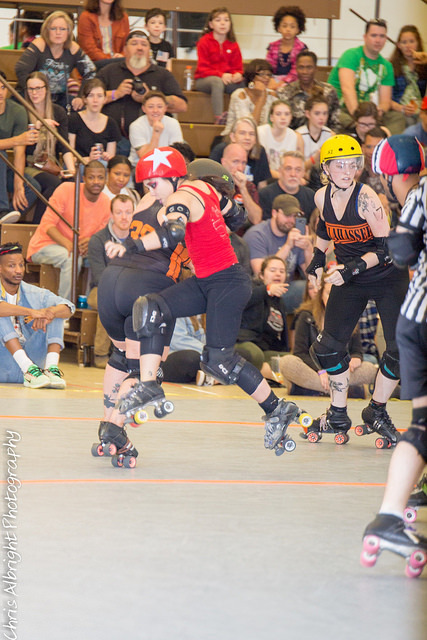 Debuting for Atlanta were jammers Sara Bellum and Buffy Basher, utility players Switchcraft and MollyWHOP and blockers Outta Spite and Tenacious Diva. The first couple of jams started out close, with Soul City in the lead 11-10 after 6 jams, but then Hate Ashbury put a 19 point jam on the board, changing the momentum for rest of the game. At the end of the first half, the score was a very lopsided 120-35 in Atlanta’s favor. The Sirens, with only 12 players, took the halftime to rest and recharge, and came out strong in the 2nd half. 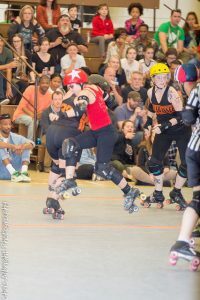 Long time Siren vets Inskatiable and Ethyl Agitate kept the packs tight and slow frustrating the Atlanta jammers. The teams played almost equal in the second half, but it wasn’t enough to make up the difference. The Jukes and the brand new rookies got their first taste of victory, winning 199 – 111. 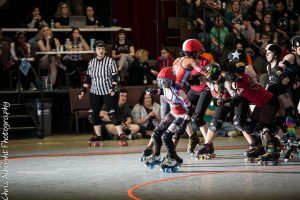 The Rumble Bs finished last season in 6th place after the US B-Team championships, and this game against Tallahassee was our first look at the 2018 team, with couple notable roster changes. The team lost 2017 jammers Human Missile Crisis, Evil Olive, and Turbo Royale but added 3 new jammers: un-retired Agent Maulder, transfer Johnnie Knocks’em, and they pulled up Master Blazer from the Jukes. The Bs were able to hold Tallahassee scoreless until jam 7, when Freak Show put up 4 points for TRG. However, the following jam, Vanilla Rice nearly doubled Atlanta’s score with a monster 25 point jam, and Gucci Maim and Agent Maulder added a couple 20+ point jams into the Bs total in the first half. The lucky leprechaun was not on the Tallahassee bench, and the halftime score was a lopsided 195-38 in favor of Atlanta. The second half continued in favor of Atlanta. Tallahassee was playing with only 11 skaters to Atlanta’s 15, and they had 3 blockers (Audrey Scorn, Erin Breakabitch, and Sox Populi) that played ⅔ of the game! Unable to keep up, Atlanta ended up winning in massive blowout, 351-107. 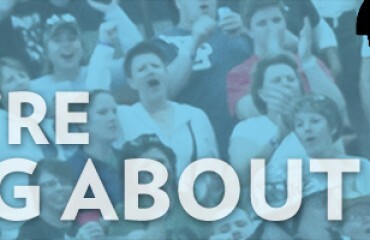 Come watch the Rumble Bs take on Tampa’s B-team and Jacksonville’s B-Team at the Tiny Tourney in May.